I initially went to the bookstore to buy Darth Vader and Son, the cartoon parody of Darth Vader and his son, Luke Skywalker. 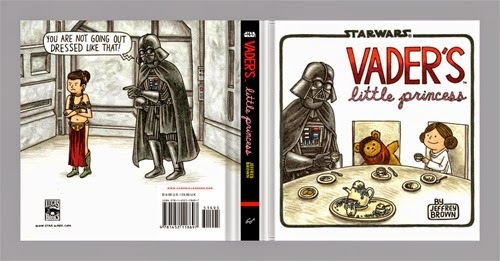 But the book was sold out and the only one left was Vader's Little Princess. Since I also love Princess Leia, I end up bought it. Overall this book is funny. I love the drawing and the parody. People who watch Star Wars movie will understand the joke but I doubt people other than Star Wars fan will get it.